Courtney Force recently announced she's retiring from racing, leaving no women to race Funny Car in the NHRA. The number of women competing in the male-dominated sport of auto racing has steadily increased over the years, but few women have reached the championship level. As the 2019 racing season prepares to get underway, one of those fan-favorite title contenders will no longer be competing. Courtney Force shocked the motorsports world a month before the NHRA season-opening event at Pomona, California, when she announced she was stepping away from her Funny Car. The 30-year-old Force, who's married to IndyCar driver Graham Rahal, quickly dispelled rumors she was pregnant, but she declined to elaborate on the new business venture she planned to pursue. During Force's 167-race Funny Car career with John Force Racing, she won 12 events, made it to the finals on 17 occasions and was the No. 1 qualifier 28 times. She had a phenomenal 2018 season, matching her career-high single-season victory total with four and claiming 11 No. 1 qualifying positions. She entered the Countdown to the Championship as the No. 1 seed, but she faltered down the stretch and had to settle for sixth in the standings. 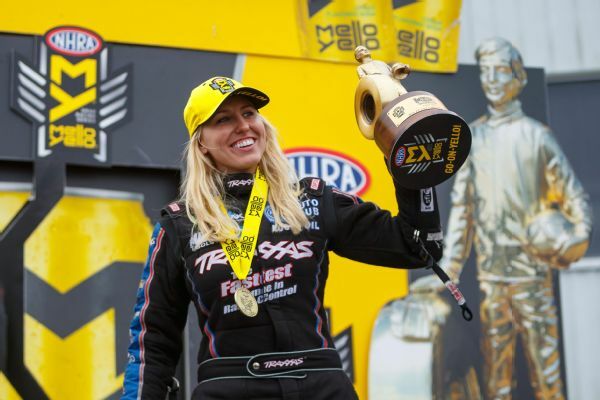 Even though Force won't return, her sister -- and 2017 NHRA Top Fuel champion -- Brittany Force, will be back in that class, as will Leah Pritchett. 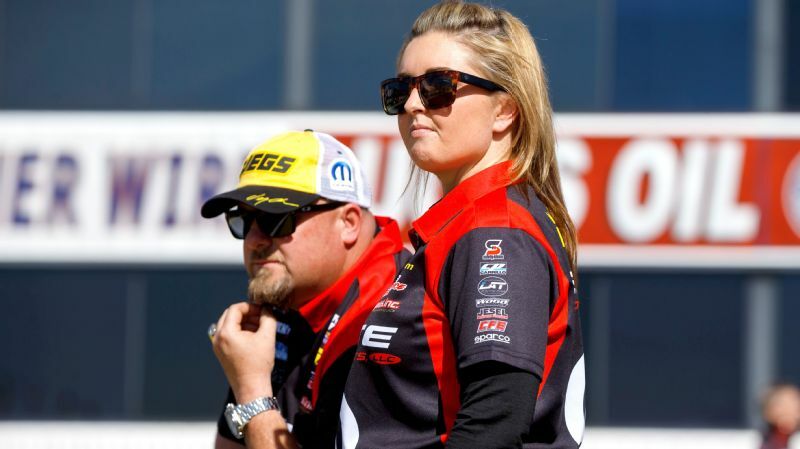 Erica Enders remains in Pro Stock, and there are numerous female competitors in NHRA Pro Stock Motorcycle. 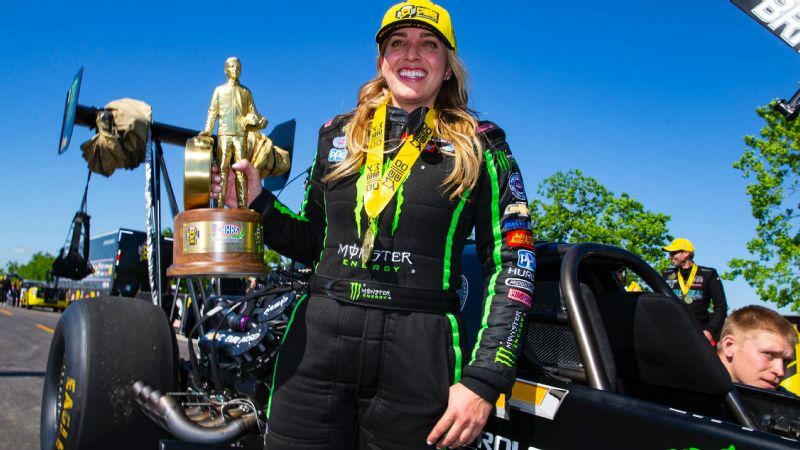 But with Courtney's departure coming a year after Alexis DeJoria's, there are no female title contenders in Funny Car. In sports car racing, the Rolex 24-hour race at Daytona had an all-female team for the first time in 25 years. And it won't end with that endurance race. Katherine Legge and Jackie Heinricher will be co-drivers in pursuit of IMSA's GTD championship this season. For the first time in NASCAR's K&N Pro West Series, two of the three drivers competing full time for Bill McAnally Racing will be women. Hailie Deegan returns for her second season with the team, while Brittney Zamora moves to McAnally's operation from super late models. Since Danica Patrick retired, NASCAR doesn't have a regular female competitor in either of its top two series, but don't be surprised if Natalie Decker appears in a few Gander Outdoors Truck Series events this year. Decker also hopes to compete in a women-only series scheduled to make its debut later this year. The series' concept has drawn criticism and praise since auto racing has long been the only sport in which women can compete equally with men. Overall, women of all ages are now competing in various forms of motorsports throughout the world, and their numbers are gradually increasing. 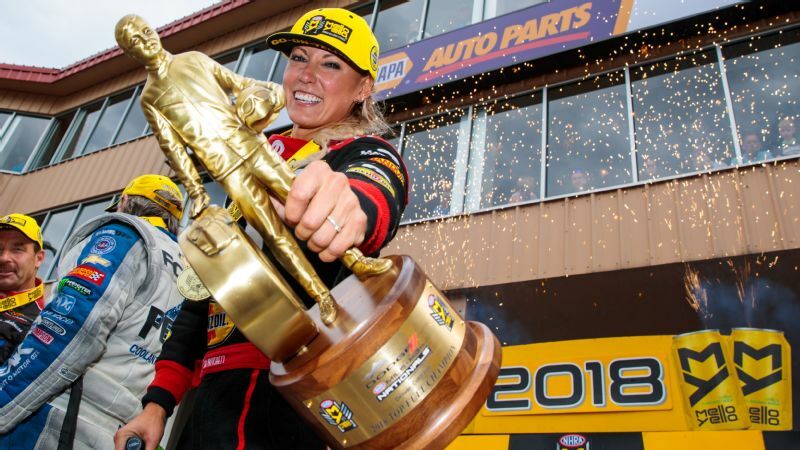 Below, espnW takes a look at 10 women racing this year in the NHRA, NASCAR, ARCA, IMSA and American Flat Track motorcycle racing. 2019 plans: Decker will drive a mixed schedule of races in NASCAR's Gander Outdoors Truck Series, K&N Pro Series and ARCA. 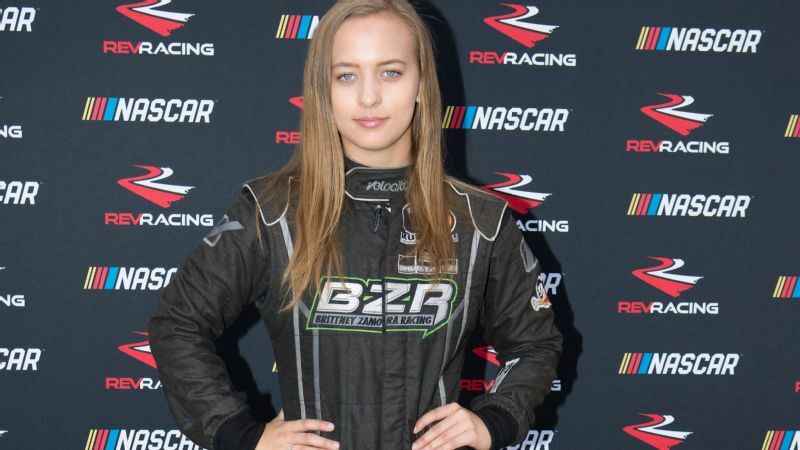 She also is among the 28 finalists who will battle in March for 18 spots in the W Series, the women-only international single-seater series scheduled to make its debut in May. 2018 in review: Decker had her best season in 2018, finishing seventh in the ARCA driver standings and scoring two top-5 and nine top-10 finishes in the 20-race season. 2019 plans: Deegan will compete full time in the NASCAR K&N Pro Series West for Bill McAnally Racing. She also will race in selected K&N Pro Series East events. Brittney Zamora will be her teammate. 2018 in review: In her rookie season in NASCAR's K&N Pro Series West, Deegan earned two poles, won one race, and recorded five top-5 and 12 top-10 finishes in 14 races. She led 40 laps and finished fifth in the driver standings to win Rookie of the Year honors. Her victory last September at Meridian Speedway in Idaho made her the first female to win in the K&N Pro Series. In K&N Pro Series East, she competed in six of the 14 races and led three laps, but had no top-10 finishes. 2019 plans: Enders will race in NHRA Pro Stock and Pro Mod with Elite Motorsports. 2018 in review: In NHRA Pro Stock, Enders had one win, reached seven final rounds, and finished fourth in the driver standings. She competed on a limited basis in Pro Mod. 2019 plans: Force will again compete in the NHRA Top Fuel division for John Force Racing. 2018 in review: Force posted one victory last year and reached one final round in Top Fuel. She finished fifth in the driver standings. 2019 plans: In IMSA, Legge will drive for Heinricher Racing with the Meyer Shank Racing Acura program and new season-long co-driver Jackie Heinricher. She also is racing in the Jaguar l-PACE eTROPHY Formula E Series for Rahal Letterman Lanigan Racing. The series is the first production-based electric vehicle race series. 2018 in review: Legge was the IMSA GTD championship runner-up with two victories and seven podium results while driving for Meyer Shank Racing Acura. 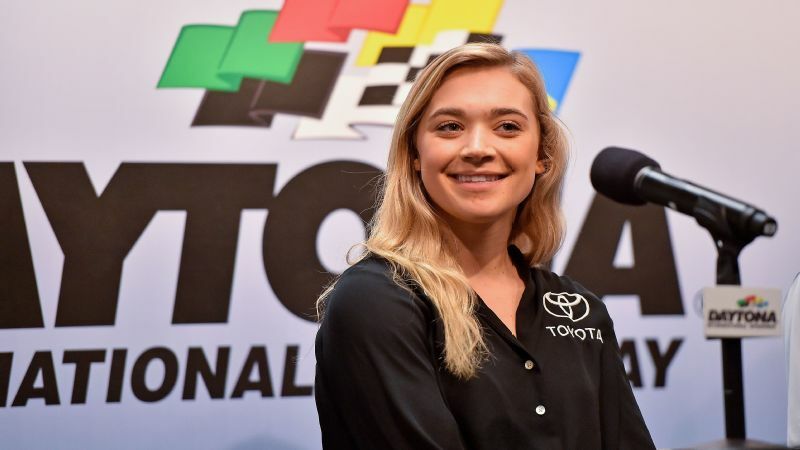 She made her NASCAR debut in the Xfinity Series at Mid-Ohio with a 30th-place finish. She competed in four NASCAR Xfinity races with a best finish of 14th at Road America in Elkhart Lake, Wisconsin. 2019 plans: Munter will race in the Feb. 9 ARCA season opener at Daytona International Speedway for Venturini Motorsports and then retire. Munter's entire career has been based on her ability to raise sponsorship, and she has no financial backing beyond Daytona. In addition to ARCA, her 18-year career included racing in the Indy Lights Series. 2018 in review: Munter competed in eight of 20 ARCA races and recorded two top-10 finishes. Her best finish came in the season-opening race at Daytona, where she placed eighth. 2019 plans: Pritchett will run in NHRA Top Fuel and the Factory Stock Showdown for Don Schumacher Racing. 2018 in review: She won two Top Fuel events, made it to three final rounds and finished fourth in the driver standings. She also won the Factory Stock Showdown championship. 2019 plans: Shipman will race in American Flat Track motorcycle racing Singles Class, which consists of production-based 450cc off-road machines specially prepped for flat track competition. 2018 in review: Shipman started last season with the Waters Autobody Racing team. 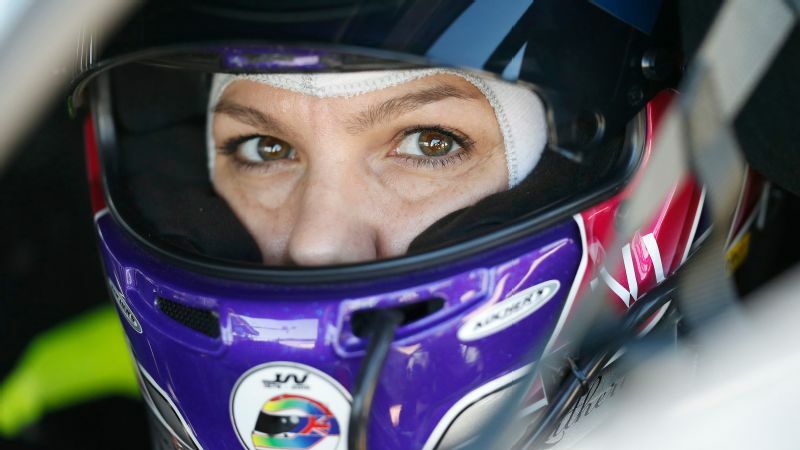 She was severely injured in an April crash at Texas Motor Speedway and initially thought about retiring, but she focused on her rehabilitation and returned to racing in September with Richie Morris Racing. 2019 plans: Texter will compete in American Flat Track motorcycle racing Singles Class. 2018 in review: Texter posted three victories, was the best qualifier in two events and finished third in the rider standings. 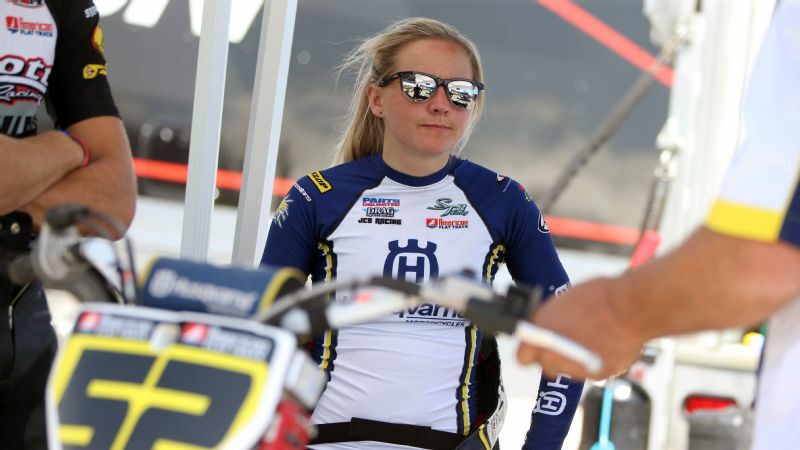 She was the first factory-supported rider in AFT Singles history and provided Husqvarna Motorcycles with that manufacturer's first-ever victory in American Flat Track racing. 2019 plans: Zamora will race in the NASCAR K&N Pro Series West for Bill McAnally Racing as well as selected K&N Pro Series East events. 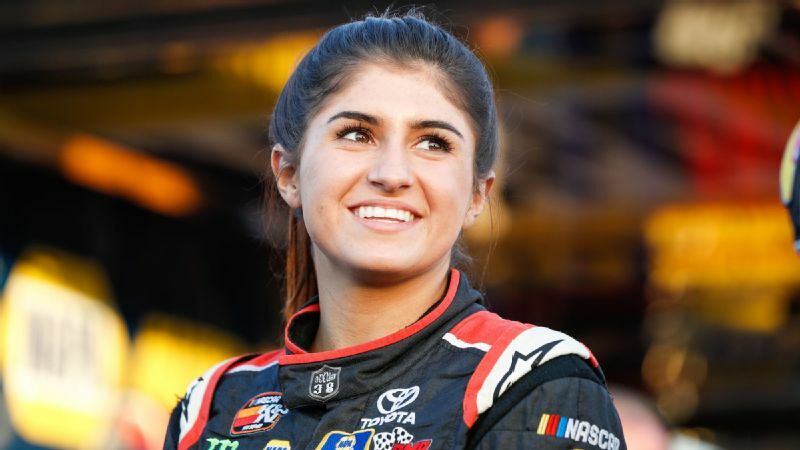 Hailie Deegan will be her teammate. 2018 in review: Zamora raced super late models last year. She was the NASCAR Whelen All-American Series Rookie of the Year for Washington state and won her second straight Northwest Super Late Model Series championship. 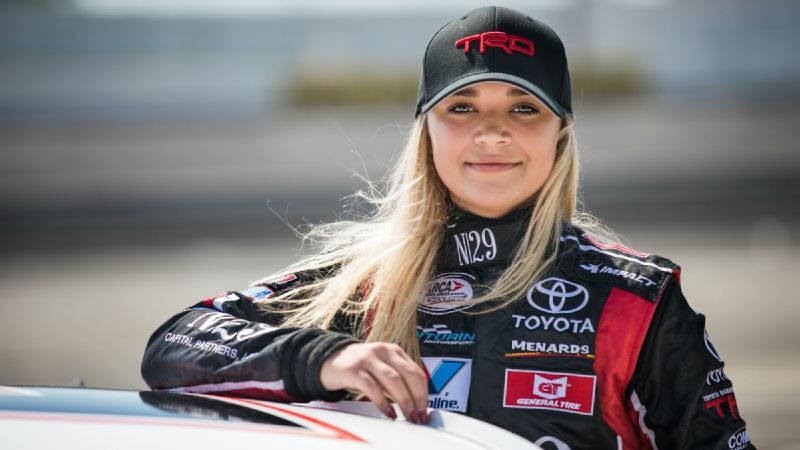 She also won the Wendell Scott Trailblazer Award and was one of seven finalists in the Kulwicki Driver Development Program. Deb Williams has covered auto racing for United Press International, USA Today and The Charlotte Observer. She was the 1990 and 1996 NMPA Writer of the Year.